THE INCREDIBLES (2004) is one of my favorite Pixar films, but I'd not seen it for a number of years. 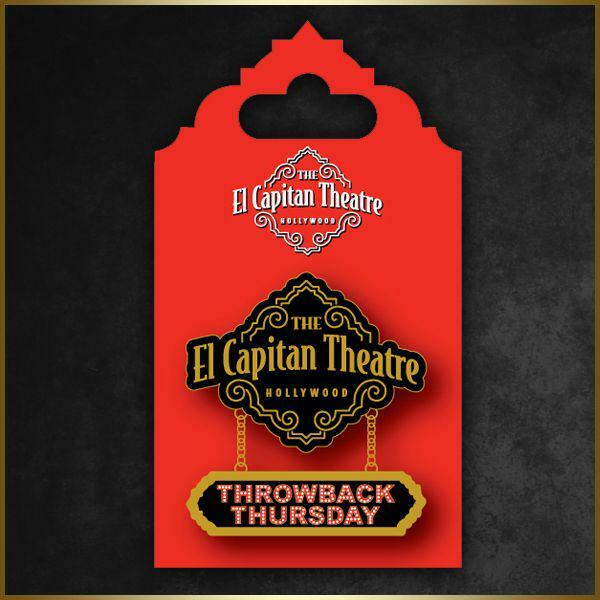 It was thus a special treat to see it on a big screen once more at last night's Throwback Thursday screening at Disney's El Capitan Theatre. The premise of THE INCREDIBLES, with superheroes forced into hiding to avoid lawsuits by ambulance-chasing lawyers, has become even more "spot on" with the passage of time. What seemed mildly silly a decade ago seems rather plausible in today's crazy world. Superheroes Bob (Craig T. Nelson) and Helen (Holly Hunter) Parr, aka Mr. Incredible and Elastigirl, live anonymously as part of a government relocation program -- basically a "witness protection program" for superheroes. Bob and Helen's only connection to the past is Bob's friendship with Lucius (Samuel L. Jackson), whose superhero name is Frozone. They do have a bit of a challenge keeping their children's powers hidden -- Dash (Spencer Fox) can move quicker than the proverbial speeding bullet, and Violet (Sarah Vowell) has a tendency to, well, shrink. Baby Jack-Jack doesn't have any powers. Or so they think. Bob's unhappiness with his dead-end insurance company job and longing for his true calling leads him to don his Mr. Incredible suit once more. 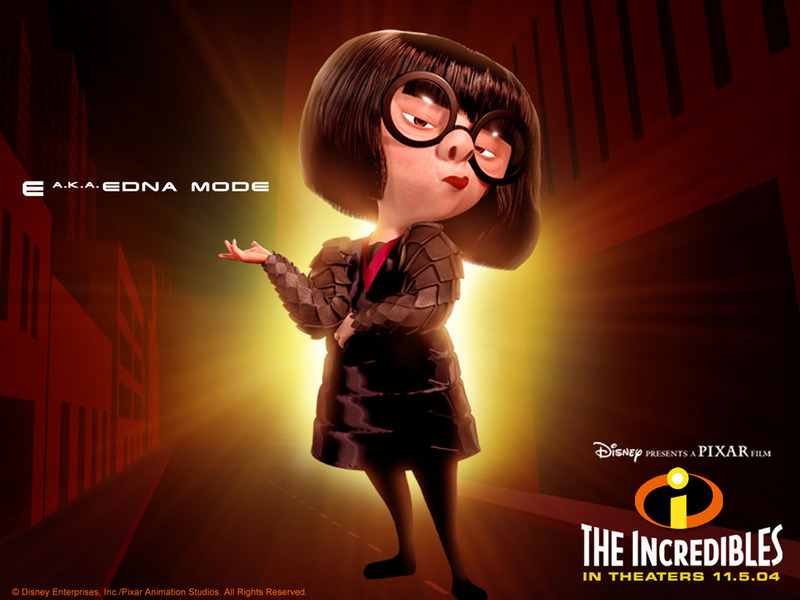 (Actually, it's a brand-new suit designed by Edna Mode, who is basically Edith Head to the superhero community.) When Mr. Incredible ends up in great danger, Helen heads out to help him...with their two oldest children as stowaways. This is such a smart, witty, and knowing film, anchored by a very believable family story in the center of an unbelievable premise. 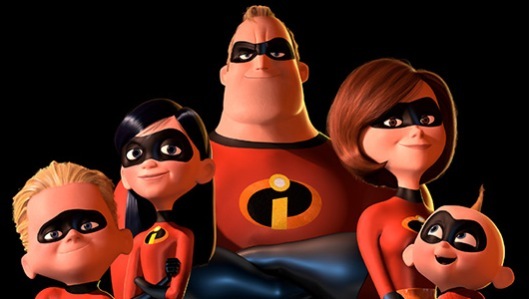 Despite their unique powers, the Incredibles are a completely recognizable, normal family who love each other as they deal with ups and downs. One of my favorite moments is when the harried Helen, juggling the baby and problems with the two older children, calls out to Bob to "Engage!" Holly Hunter is particularly outstanding voicing Helen. There are many bits of brilliance strung together throughout the film, whether it's Edna's hilarious diatribe on why superheroes should never wear capes, angelic baby Jack Jack turning into something altogether different when dealing with a villain, or Frozone's panicked "Where is my Super Suit?" while his unseen wife is heard worrying what his dashing off to save the world will mean for their dinner party. There's a great jazzy score by Michael Giacchino, and indeed, the design and scoring of the end credits sequence is as good as anything that's come before. It's a supremely enjoyable part of the movie which should not be missed. THE INCREDIBLES was written and directed by Brad Bird, who also voices Edna. THE INCREDIBLES is available on DVD and Blu-ray. It can currently be rented for streaming from Amazon Instant Video. Like THE ARISTOCATS (1970), this Throwback Thursday screening was more lightly attended than most Throwback Thursday screenings I've experienced in the past, though the audience's enthusiasm made up for some empty seats! Hopefully it's just the summer doldrums, as this series is great fun and I'd love to see it continue indefinitely. 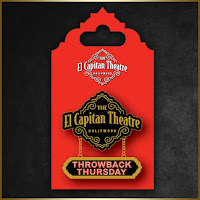 The El Capitan Throwback Thursday pin (seen below) is a nice deal for regular attendees. The pin costs $8; wear it to each screening for free popcorn refills and an occasional surprise as you leave the movie. This week pin holders received INSIDE OUT magnets when exiting the theater. As a postscript, our local theater in Huntington Beach is one of just six theaters nationwide participating in Disney's new Disney Screen program, with four Disney films shown every day for a week, after which a new batch of four films is rotated in for another week. The prices are outstanding. I hope to see one of the movies in this series, which began July 31st, as soon as this weekend. Hopefully it's an idea which will be successful and spread to other theaters across the country. Previously: Tonight's Movie: Lady and the Tramp (1955) at the El Capitan Theatre; Tonight's Movie: Cinderella (1950) at the El Capitan Theatre; Tonight's Movie: Peter Pan (1953) at the El Capitan Theatre; Tonight's Movie: Mulan (1998) at the El Capitan Theatre; Tonight's Movie: The Little Mermaid (1989) at the El Capitan Theatre; Tonight's Movie: Mary Poppins (1964) at the El Capitan Theatre; Tonight's Movie: Sleeping Beauty (1959) at the El Capitan Theatre; Tonight's Movie: Swiss Family Robinson (1960) at the El Capitan Theatre; Tonight's Movie: Alice in Wonderland (1951) at the El Capitan Theatre; Tonight's Movie: The AristoCats (1970) at the El Capitan Theatre; plus Tonight's Movie: The Jungle Book (1967) at the TCM Classic Film Festival. Related review: INCREDIBLES 2 (2018).